Although going to a graveyard might seem an unlikely festive activity, the sight of thousands of graveside candles glowing in the snow adds to the festive spirit. Placing candles on the graves of deceased relatives at Christmas is a deep-rooted tradition in Finland. Non-churchgoers and members of the Orthodox faith, as well as believers from the Evangelical Lutheran Church of Finland, take part in the tradition. Around three-quarters of Finnish families visit a cemetery at Christmas, with most dropping in on Christmas Eve. The larger cemeteries even have special traffic arrangements in place with the police to accommodate the crowds. Even those who don’t have relatives buried in the cemeteries visit their local graveyards to stroll through on Christmas Eve where the thousands of lit candles light the way. 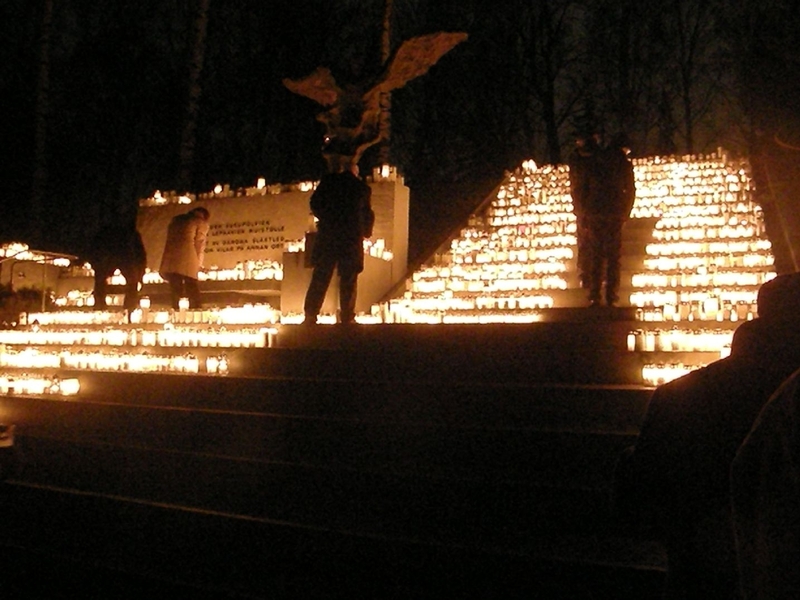 Many of Helsinki’s cemeteries also have memorial features where people can light candles for those buried elsewhere. Even though the cemeteries are very often crowded on Christmas Eve, the visitors remain silent as they make their way through the candlelit rows. Cemeteries in Finland are seen more as scenic parks with large trees where people go for peaceful strolls, as well as remembering the deceased. As well as the candles, some graves have had natural lanterns created around their candles using piles of snowballs or icy covers made of water which visitors make by freezing water in a bucket. The tradition of putting candles on graves at Christmastime began in the 1920s when candles became affordable. It also became a common practice to leave lights at the graves of fallen soldiers after the Winter War between Finland the Soviet Union during November 30, 1939 and March 13,1940. This tradition then spread to other graves as well. But the custom of visiting graves on Christmas Eve is thought to date back much further to pre-Christian times. Because it gets dark very early in most parts of Finland around Christmastime, the visitors tend to drop into the cemeteries in the afternoon. This leaves the rest of the day for traditional Finnish Christmas celebrations such as visiting church or having a sauna!